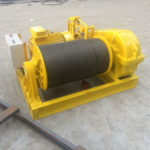 Marine hydraulic winch is usually with heavy rated load and widely applied on ship, on the dock or on the offshore platforms for lifting, pulling, towing, mooring etc. It is welcomed by customers especially for heavy-duty marine work and operations. There are built-in hydraulic winch, exposed hydraulic winch, high speed hydraulic winch and low speed hydraulic winch. 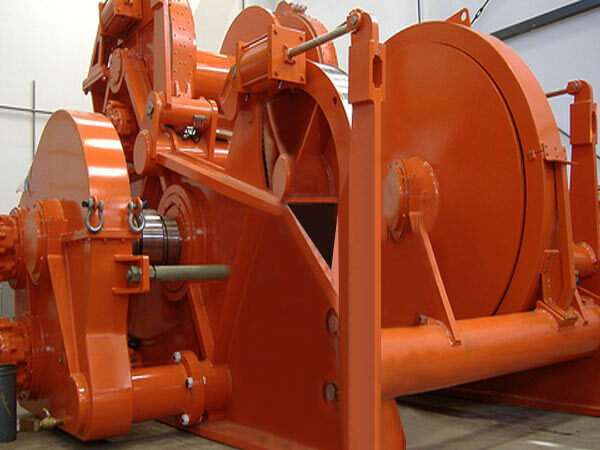 The main components of the winch include: hydraulic motor (low speed or high speed motor), hydraulic NC multi-plate brake, gearbox, clutch (optional), drum ( single drum or double drum), support shaft, frame spooling device (optional) etc. 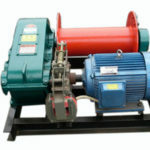 The winch motor has high mechanical efficiency. The brakes and gearbox are installed in the winch drum, and the drum, support shaft and frame are designed in accordance with mechanical requirements, which makes the overall structure simple and reasonable with sufficient strength and rigidity. In application: the marine hydraulic winches can be used on ship deck, in port, on offshore platforms and so on. They can be used for anchoring, mooring, towing and other marine operations, to meet different work requirements, there are marine hydraulic towing winch, hydraulic anchor winch and hydraulic mooring winch supplied by us. 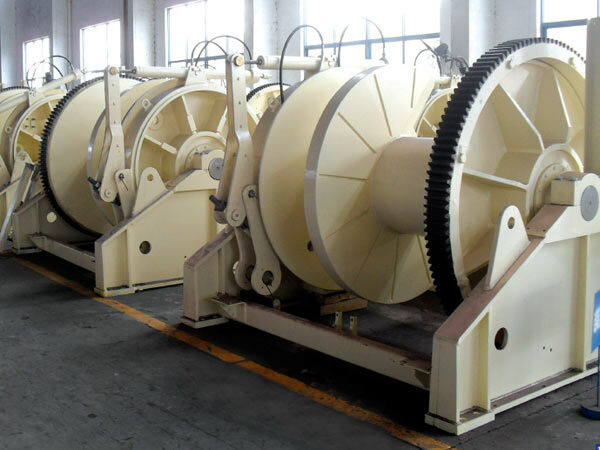 To meet different clients’ requirements, the winches are designed and produced with different configurations. 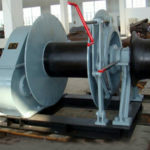 Some winches have one or two warping heads, also known as warping winch, and others have no warping head. 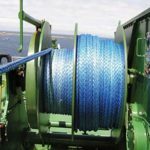 The winches can be with single, double or multiple drums as needed, that is to say, there are single drum winch, double drum winch and winches with multiple drums. As for drive type, the marine winches used on ships can be powered by electricity, or hydraulic pump or diesel engine as needed. No matter what power mode the winch adopts, it can meet the marine operation needs. 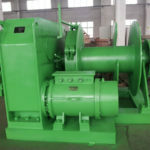 Compared with electric marine winch and diesel winch, hydraulic winches generally has larger load capacity, and large vessels usually adopt hydraulic marine winches for the different operations. Given your requirements on the winch, we will just provide you with the most suitable product. 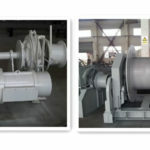 With the above characteristics, the hydraulic marine winch is widely used in many occasions and places, and its excellent performance and function have been highly recognized by our customers. At last, take the price of the winch into careful consideration, it is not wise to only focus on the price and only choose the cheap product. With these tips in mind, you will get the suitable and quality marine winch as you expect. Ellsen Machinery Equipment Co., Ltd designs and manufactures different types of hydraulic marine winch, such as hydraulic tugger winch, hydraulic mooring winch, hydraulic anchor winch, hydraulic anchor handling towing winch, and so on. 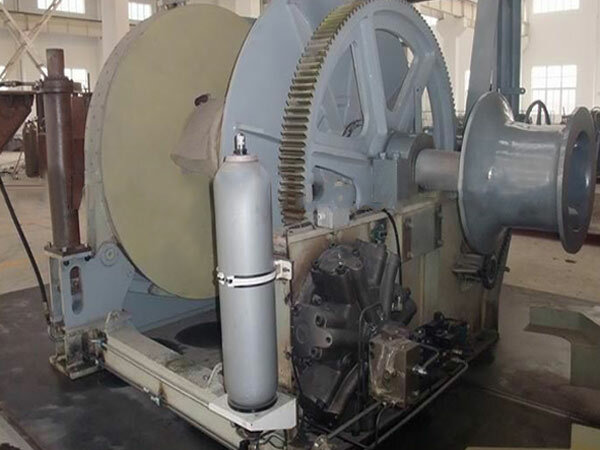 If you want to get more information on marine hydraulic winch quotation, just contact us and we will reply you as soon as we get your inquiry and will provide you with detailed information about the products as you need. Interested in our hydraulic winches? or want the best prices?